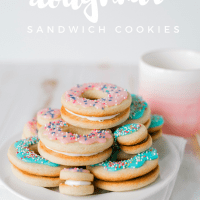 Doughnut Sandwich Cookies for a good cause. My favorite sugar cookie sandwiched between vanilla buttercream and Nutella. Topped with cookie glaze and lots of sprinkles. I’ve tried four times to write an intro to talk about childhood cancer and I can’t find the words that I need to talk about something that I cannot wrap my head around. 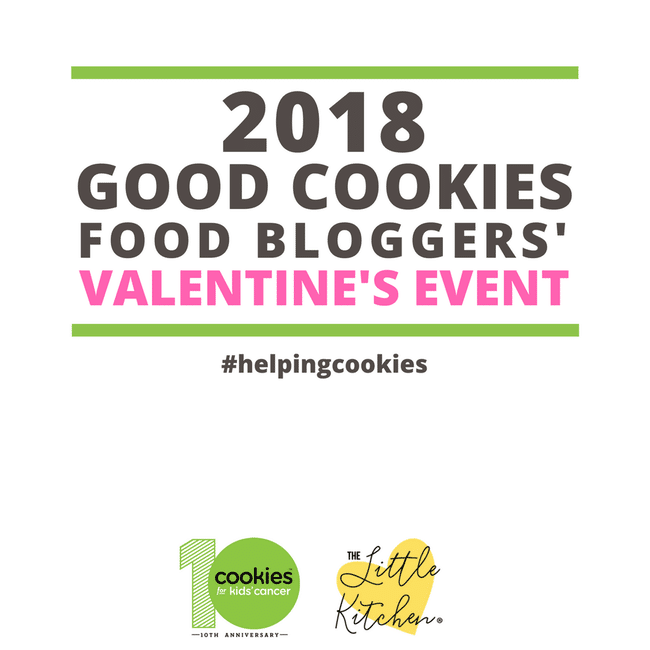 Today, many of my food blogger friends and I are sharing Valentine’s Day inspired recipes to raise funds and awareness for Cookies for Kids’ Cancer. I can’t imagine what it must feel like to watch your child be sick. To not know what their future will hold and if a cure will ever be available. I know that if it were my children, I would do anything I could to take their pain and suffering away. 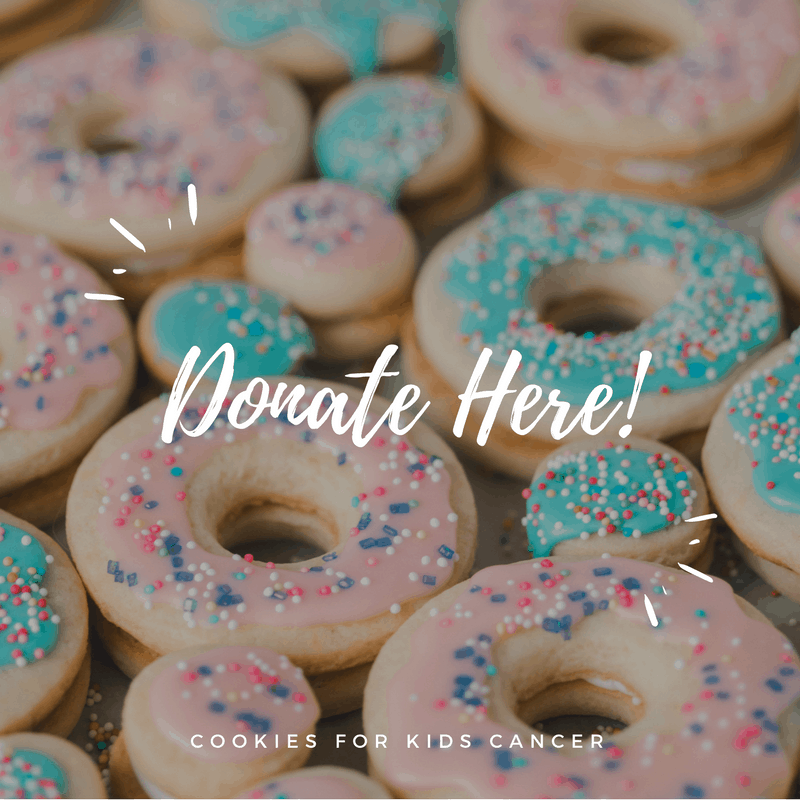 My children aren’t sick, but I will put my support behind Cookies for Kids’ Cancer to fund valuable research to find a cure. Because there are thousands of children fighting for their lives right now. Cancer is the number one cause of death by disease in children in the U.S. But the dollars spent on cancer research and treatment are not going to childhood cancer. Less than 3% of the Federal Cancer Institute’s budget went to all 12 major groups of pediatric cancer where breast cancer received 12% and prostate cancer received 7%. More research needs to be done to find cures for childhood cancers. I don’t think that there is anyone that hasn’t had their lives touched by cancer. We’ve lost too many people to this horrible disease. All cancer research is important, but childhood cancer research and funding is nowhere it needs to be to find a cure. 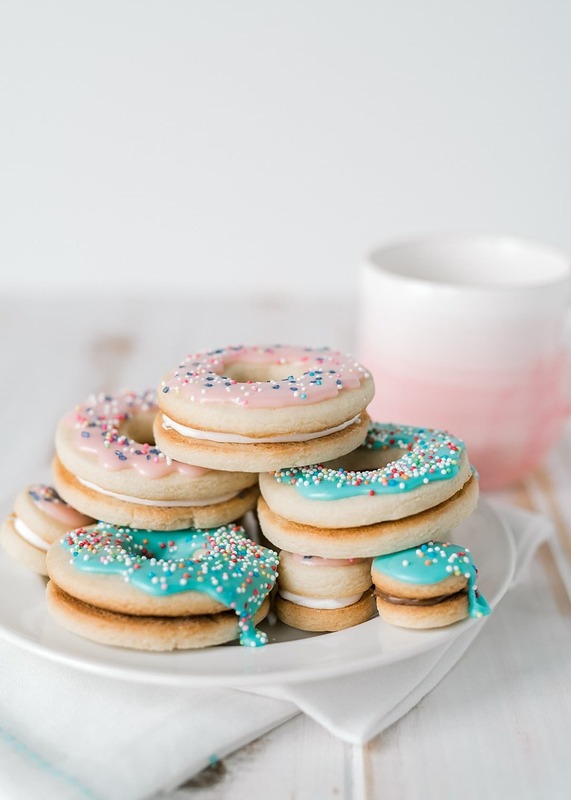 Now, on to the Doughnut Sandwich Cookies! Valentine’s Day is a big deal at our house and we often started the day with heart and Valentine doughnuts from Krispy Kreme. We don’t have a Krispy Kreme near us, so I made cookies that remind us of our favorite doughnut destination. 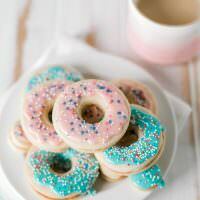 My version is my favorite sugar cookie recipe cut into 3-inch circles with a smaller hole cut out for the center. (I saved the centers to make doughnut holes. Obviously.) I filled the center with a little buttercream and Nutella and covered them with cookie glaze and sprinkles. 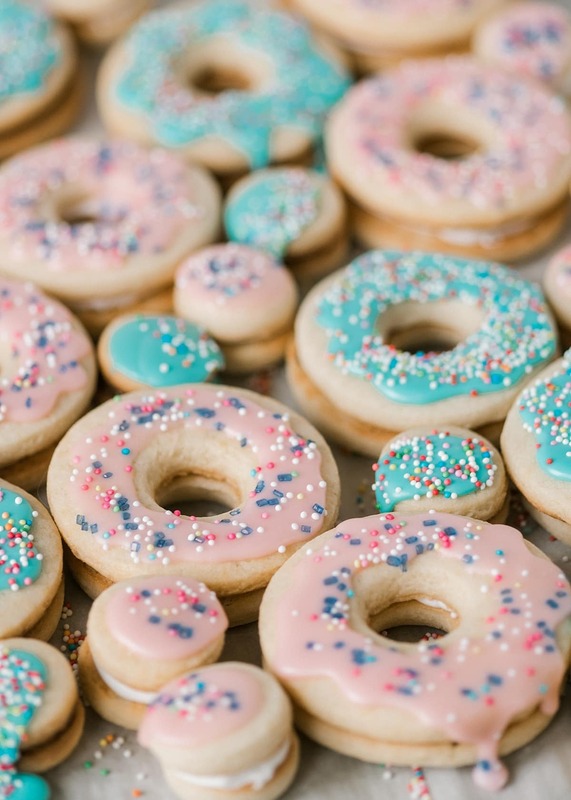 I used Nutella, but you could use just about anything to fill these doughnut sandwich cookies. Jam for jelly doughnuts, caramel, lemon curd. Anything at all. Cream butter and sugar in the bowl of an electric mixer until light and fluffy, about 5 minutes. Add the eggs, vanilla, and almond extract, mix well. Add flour. baking powder, and salt and mix until the dough comes together into a ball. Wrap the dough in plastic wrap and chill for 4 hours or overnight. 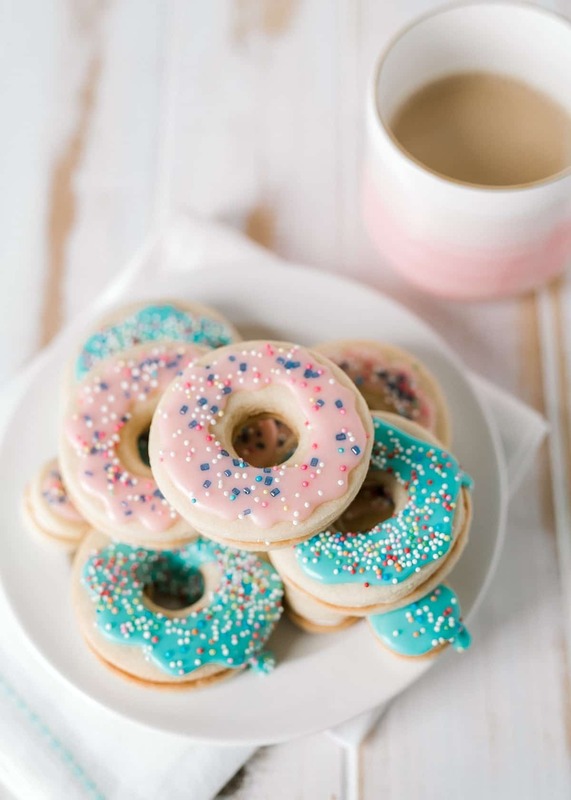 Roll the dough out on a lightly floured surface and cut circles with 3-inch cookie cutters. Then cut out the center with a 1/2″ to 3/4″ inch circle cutter. Bake in a preheated 350° oven for 8 to 10 minutes. I found it was easiest to put buttercream, Nutella, and cookie glaze in piping bags. Pipe a ring of frosting or Nutella on the bottom of a cooke, then top with another cookie. 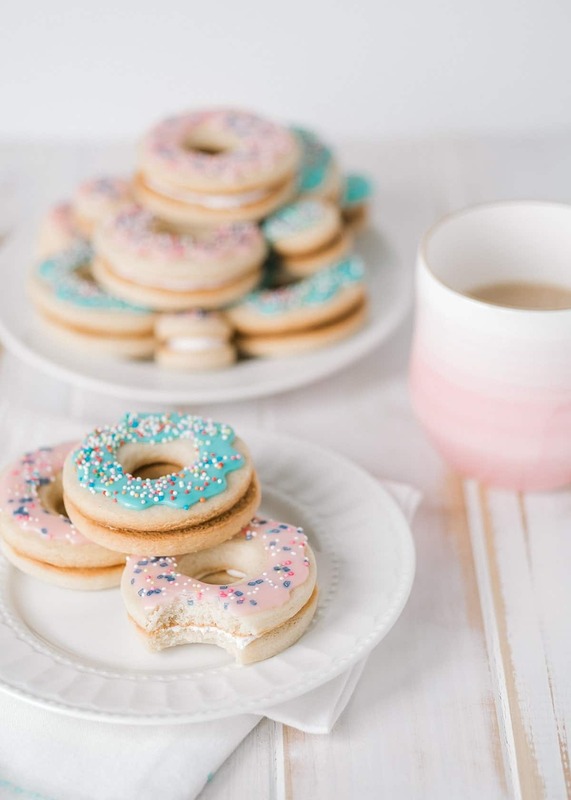 Pipe cookie glaze over in a squiggle and sprinkle with sprinkles. 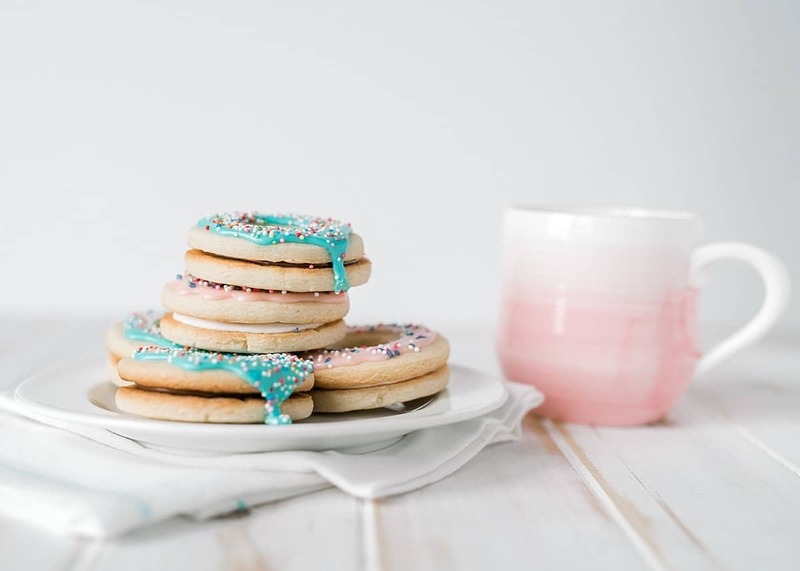 My favorite sugar cookie glaze recipe. This recipe was inspired by a video from Cupcake Jemma. Want to see what other Valentine’s Day inspired creations? 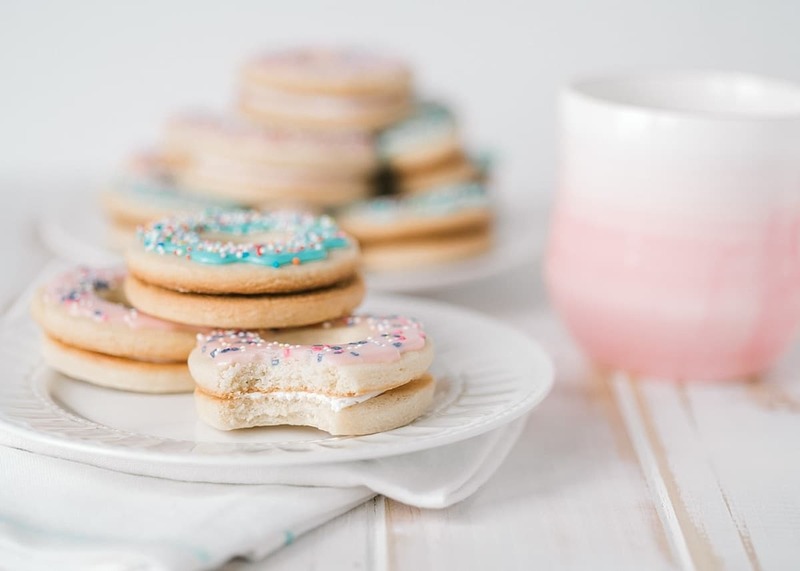 Please go and check out some of the other sweet recipes today and PLEASE SHARE them! Facebook, Pinterest, Twitter, help us spread the word! For more information about Cookies for Kids’ Cancer and to donate, click the picture below. Thank you for touching on this subject,, it is very close to my heart. I hope people donate to this cause to raise even more awareness to find a cure on day..